Home of many pro tour cyclists, Girona have much more to offer than its renowned climbs like Rocacorba, Els Angels or Mare de Deu del mont, Girona have a backyard full of narrow and lonely roads that will drive you through countryside fields and small villages where the time has been frozen for years, and in our everyday rush to work...that's simply a treasure! Departing from Girona cobblestone centre, we went north and got lost through it's backroads with the eyes focused in the horizon mountains where Sant Pere de Rodes monastery rests since 1022 a.c. Our mission was to avoid as many main roads as possible and look for alternative combinations that may not be the fastest ones, and the tarmac may be loose and broken, but the loneliness is worth it. 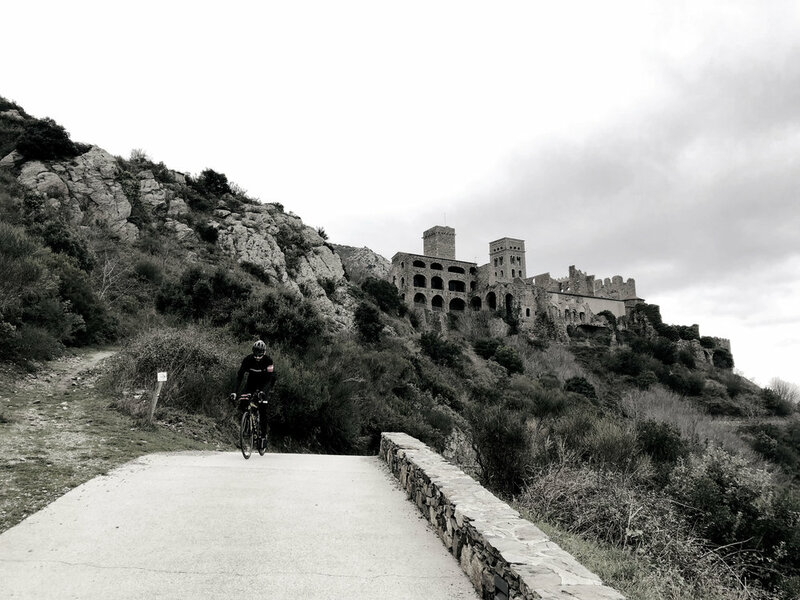 Seventy five kilometers of pure joy from Girona, to get to the top of the monastery; a stunning climb that enters on the top places of any cyclist "roadporn" category. 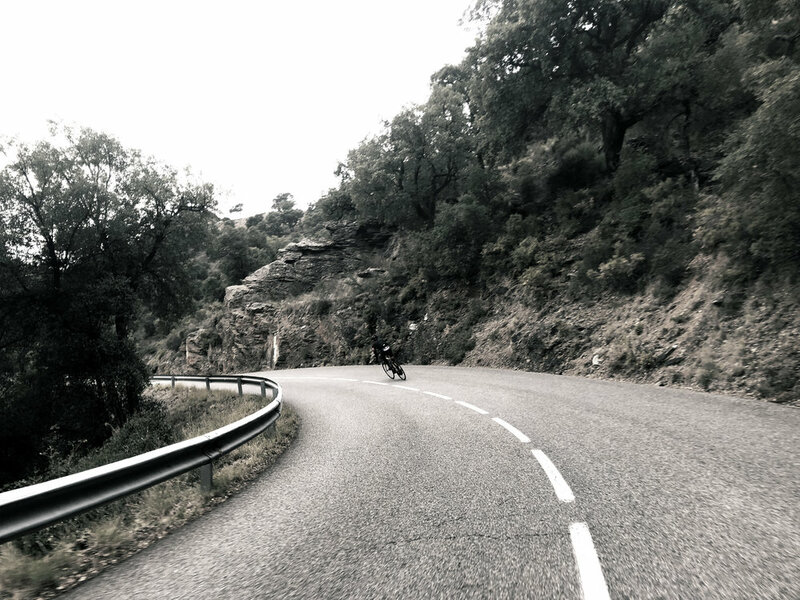 It's simply one of the nicest roads in Girona. 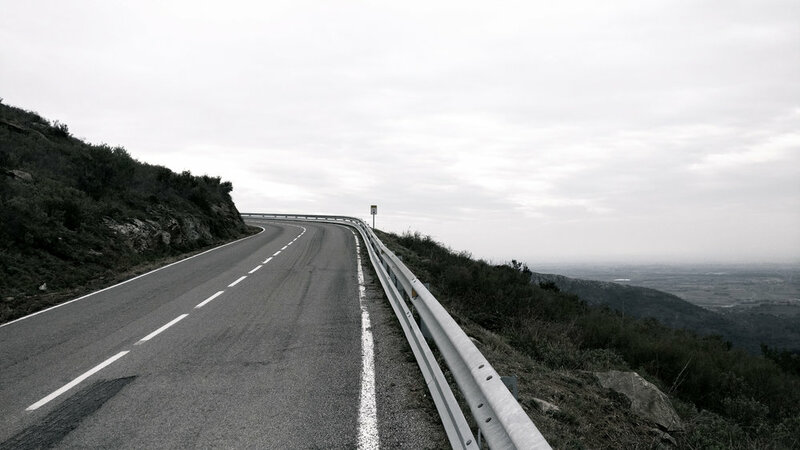 Winter days look even better for this "classic style" routes; grey sky, wind and a little cold will make your way more fun. 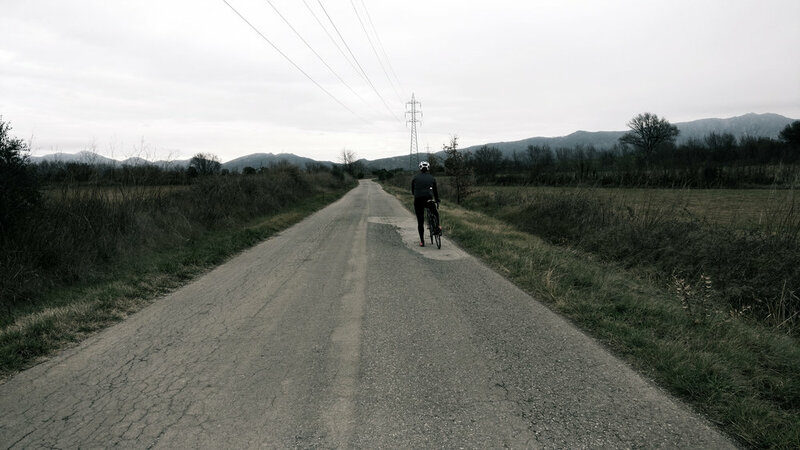 Time to come back to Girona... a little faster, but with some backroads yet to discover. 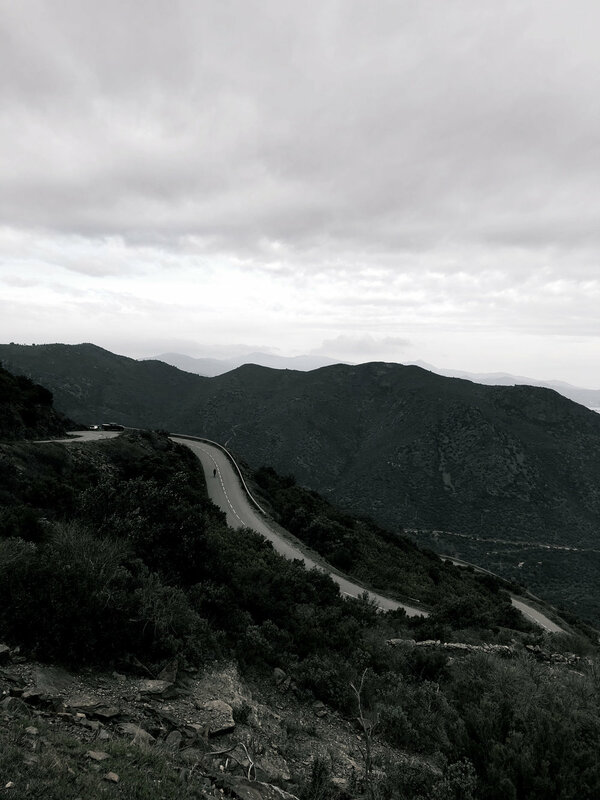 We still hungry of unexpected combinations, but it's winter time, and the sun is getting down fast, plus we have a espresso waiting for us on Christian Meier's specialty coffee place Espresso Mafia, and that's the proper way to finish a route like this! 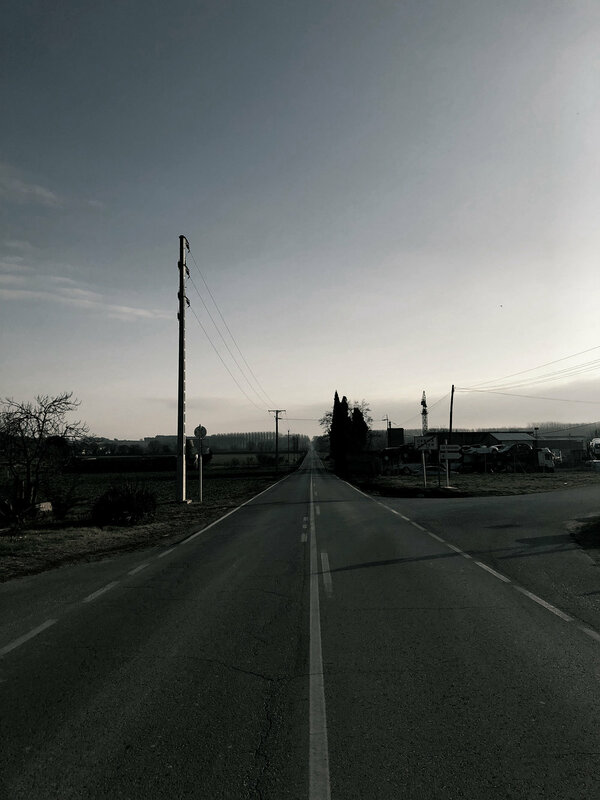 Endless roads combinations; it's not the first time, and it won't be the last! Will come back soon! 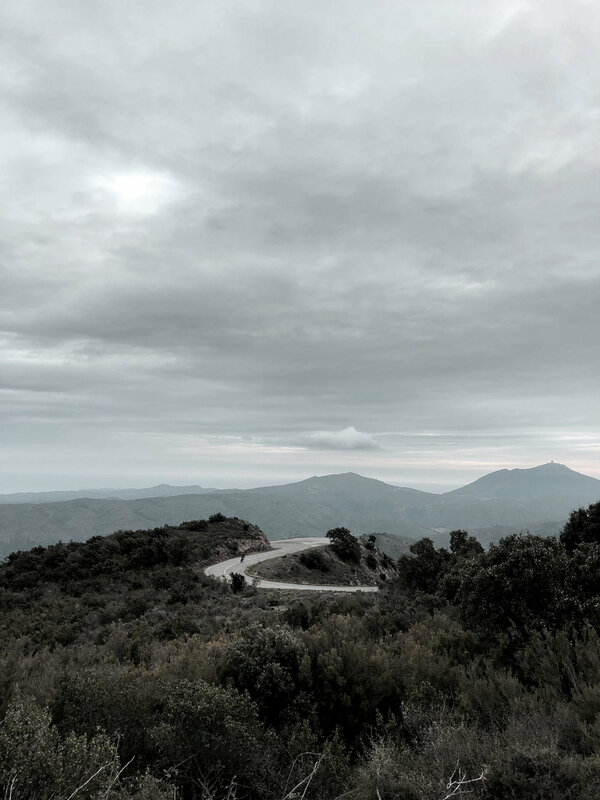 The road to Sant Pere de Rodes monastery is taken from any cycling fanatic dreams; endless hairpins, narrow, steep and epic views. It should be in any cyclist whishlist! This backroads will take you to unknown places and villages. You'll be riding longer, but it's absolutely worth it.